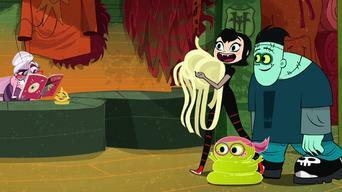 How to watch Hotel Transylvania: Season 1 (2017) on Netflix USA! 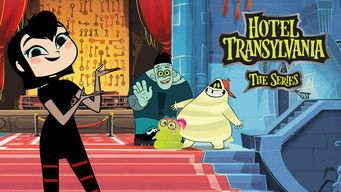 Yes, Hotel Transylvania: Season 1 is now available on American Netflix. It arrived for online streaming on June 25, 2018. 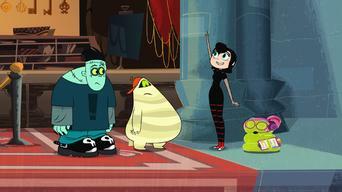 We'll keep checking Netflix USA for Hotel Transylvania: Season 1, and this page will be updated with any changes. With her dad away, Mavis is so ready for adventure -- if strict Aunt Lydia doesn't stop her first. 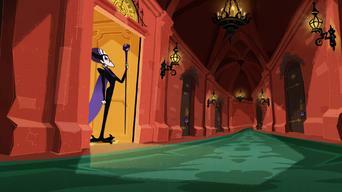 Set four years before the "Hotel Transylvania" film. 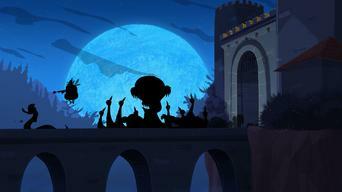 She's Dracula's teen daughter, and she's totally going to rule this awesome hotel. Things are about to get spooky fun! 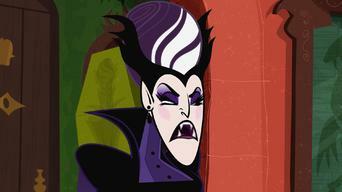 Season 1 of Hotel Transylvania has 26 episodes. Because different Netflix countries have different availability for episodes, you'll need to check the episode listing below to see which are available in the USA. Mavis needs to get the human out of the hotel or Aunt Lydia's going to freak out! While rifling through the attic, Mavis finds her old Debbie doll. It's Bad Friday, a special holiday celebrated once every 100 years. Hank is really not great at basketball, but Mavis has a plan. 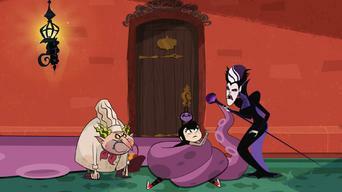 The hotel needs bed bugs, but Mavis accidentally puts truth bugs in every room. Aunt Lydia's high school rival arrives. 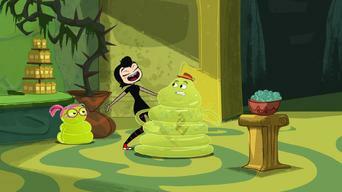 Mavis and her friends sneak into a human's house and get stuck there. Then, it's time for some phlegm ball! Little Wendy gets big -- really big. A dreamy rock star comes to stay at the hotel and Mavis completely fangirls out. 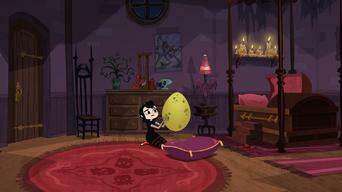 Quasimodo wants to destroy a very bad egg, but Mavis is determined to take care of it. Aunt Lydia stops the kids from watching their favorite TV show. When Mavis asks for more seasoning on the goulash, Quasimodo quits. Wendy feels indebted to Dr. Gillman after he removes gum from her ponytail. Frankenstunt / What About Blob? Hank finds out that his dad doesn't do his own stunts. 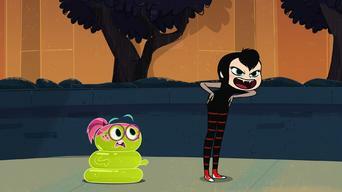 Mavis and Wendy try to set Aunt Lydia and Mr. Blob up on a date. Pedro really wants to curse someone, something, anything! 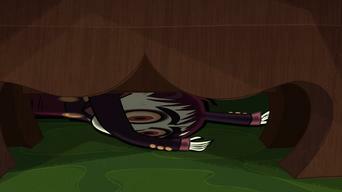 Mavis keeps watch while Aunt Lydia spends an hour in a rejuvenation coffin. Aunt Lydia's favorite author, Cornelius Shivers, needs to stay in his favorite room to complete his book. Terrifyingly, Hank turns into a human boy. Pedro's smelly wraps get thrown away when he takes them off to wash them. When cousin Klaus comes to visit, things start getting weird. 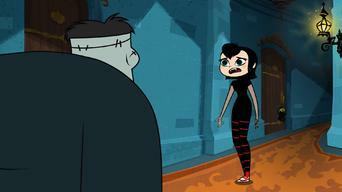 Mavis accidentally turns Aunt Lydia into a teenager. Pedro's mom is coming and he doesn't want to disappoint her. Fright of Hand / Dude Where's my Garlic? Aunt Lydia reluctantly agrees to let Mavis throw Diane a birthday party. Quasimodo has some garlic seeds, and Mavis can't help but check them out. 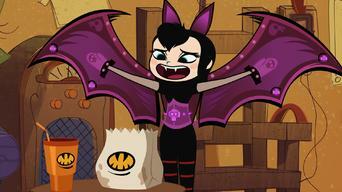 Dracula sends Mavis the prototype of a "super cool" item he's endorsing. Hank gets a home DNA test done to find out where his thumb comes from. Aunt Lydia wants Zombie Sir Isaac Newton to open Pandora's Box, but there's a brain-swapping accident. Medusa returns for another stay. 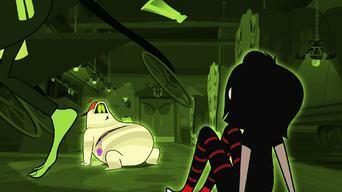 The kids sneak out on the most dangerous night of the year to see what Halloween's all about. But Dracula catches them -- and he's not happy. Cousin Klaus shows up asking for help. Mavis doesn't want to help him, but he's really desperate. Then, it turns out Dr. Gillman is a fraud! It's Creepmas, but it just isn't the same without Dracula. Mavis tries to celebrate anyway, but Aunt Lydia hates the holiday. An exclusive, reclusive celebrity guest checks in for a very long stay, but he's not happy about all the noise. 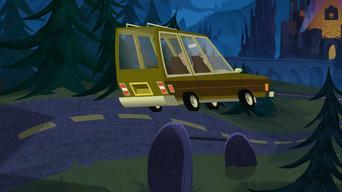 Mavis and Uncle Gene go on a road trip. Wendy and Mavis try out for the Night Warts, but Wendy doesn't do so well. 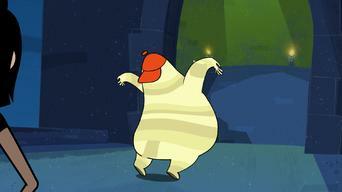 Mavis needs to give Quasimodo a personality makeover. 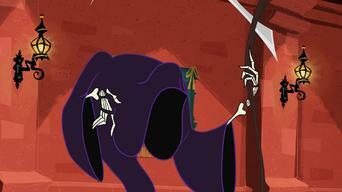 Death comes to see Uncle Gene, but Mavis tells him he's already dead. The hotel transforms into a real-life video game. Kitty Cartwright's hatred of monsters has gone too far, so Mavis goes back in time to stop her from erasing monsters from history. 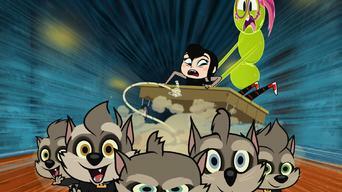 Cornelius Shivers is back, and he's writing about Hotel Transylvania. 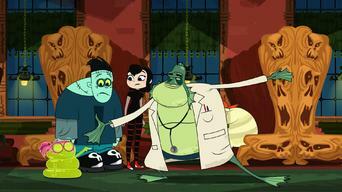 When a precious coffin goes missing, Mavis and her friends are put on trial. 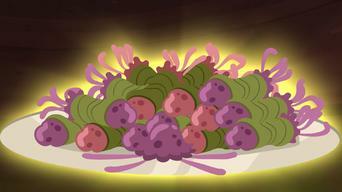 Pedro's got a secret weapon to get all the food from the buffet, and Mavis wants it. Hank and Pedro have a falling out. 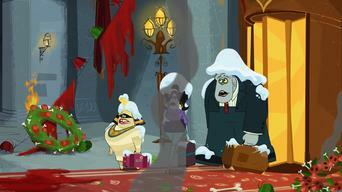 Humans are detected in the hotel when Mavis's old Ghoul Guide friends come to visit. Frankenstein holds auditions for his new movie at the hotel. 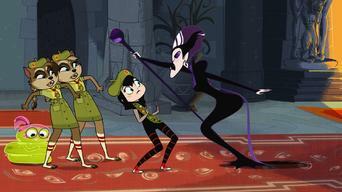 Mavis is turning 115, but before she can finally earn her Dracula cape, she'll have to travel to the vampire realm and complete a terrifying task.